In 2016, U.S. healthcare organizations spent $20 billion on expert consultants, according to the Black Book Research Q3 2018 Healthcare IT Consultant Client Satisfaction Survey. In 2017, that number more than doubled to $45 billion, the survey found, and this past year spending hit $53 billion. Clearly there’s a growing need for outside help with optimizing clinical and operational performance. Asked to select the highest prioritized consulting engagements by the end of 2020, respondents to another Black Book survey cited technology optimization (61 percent), software implementations and training (46 percent), accountable care/value-based care (39 percent), Internet of Things and cloud infrastructure (37 percent), strategic revenue cycle management review (32 percent), and decision support/business intelligence/AI/analytics (31 percent). So the role of the consultant is a key one in health IT. But where to start? How does a healthcare CIO begin a relationship with a consultant to ensure success? And how do a CIO and other health IT workers maintain a good working relationship with their consultants? 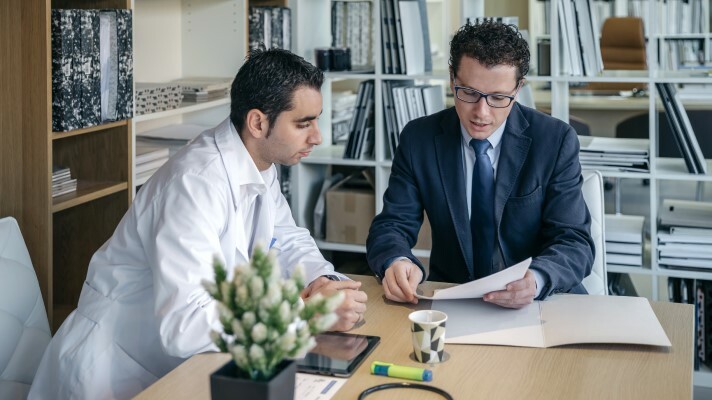 Here, three experts in the healthcare consulting arena offer sage advice and hard-won tips on best practices when launching and maintaining relationships with health IT consultants. Douglas Brown, president and managing partner at Black Book Research, said his first best practice would be to engage consultants and recommend alternatives before predetermining technologies to use. Seventy-one percent in that same survey engaged the consultants to help plan and implement a change program the provider leaders had created and/or implement an already-selected software vendor product, only because of the firm’s expertise in implementing just that precise type of program. In a follow-up survey in Q1 2019, 80 percent of provider IT and operations executives re-surveyed acknowledged implementation issues with consultant firms because the advisors entered into the process after the hospital’s internal team had predetermined a solution process prior to consultant firm engagement. "Bringing the consultant into a health IT implementation process without being involved in operations assessment, problem identification, vendor selection and/or reviewing solution alternatives is more likely to result in significant missteps and expense." “It is reasonable to expect that bringing the consultant into a health IT implementation process without being involved in operations assessment, problem identification, vendor selection and/or reviewing solution alternatives is more likely to result in significant missteps and expense than having the consulting firm enter when deriving solutions if only because the earlier the entry the less commitment and inertia have developed to a particular problem definition,” Brown advised. The best practice here is to engage the consultants to enter while the organization is selecting a vendor product or when sensing that something is wrong, otherwise assumptions are being made about the problem, he added. Further, 92 percent of 220 health IT consultants surveyed in Q4 2018 by Black Book Research confirmed that once the process of solving and implementing solutions is underway by provider executives, it is extremely tough for the consultants to re-question the health system’s problem definition or to have the organization adjust direction in addressing its IT-related implementation problems. “Health systems are becoming more and more technologically complex and posing more ill-defined and complex problems than ever before; it is growing more important for providers to engage diverse areas of consulting expertise before predetermining approaches to resolving or managing them,” Brown said. For a healthcare organization to be successful with starting up with a health IT consulting firm, it is critical that the organization’s CIO and others do a deep dive into the consulting firm’s expertise and make sure that the firm has some key qualities, said Mike Riley, healthcare solutions practice leader at health IT technology and consulting firm Logicalis. As part of that knowledge, it is important for a consultant to walk where a healthcare CIO and the entire C-suite walks and be a vested player on the team, he added. Furthermore, CIOs should look for a firm that will share their client successes and use-cases around the same scope of work, he added. A background expertise cannot only serve as a proof point of expertise, but also show commitment to the client and their needs, he said. One of the biggest challenges for major health IT implementation projects is keeping facility, vendor and consulting resources on the same page, from day one to the successful completion of the project, said Jawad Shaikh, executive director at Avelead, a healthcare consulting and technology implementation firm. "A simple best practice that gets missed all the time is starting with a unified plan based on initial assessments followed by a change management process." Experienced consulting firms should come to the table with the ability to manage these processes, enforce them, and coordinate changes across client and vendor stakeholders, he added. Brown of Black Book Research offers another best practice: Healthcare consulting firms rely heavily on future revenue from current clients, so CIOs should be highly attentive to firms they hire because firms may attempt up-sales on every issue they sense the provider organization may confront. One Black Book survey found that 61 percent of CIOs confirmed their relationships with consulting firm executives, not past or actual engagement successes, had the greatest influence on their provider organization signing additional consultant engagements outside their original engagement scope. “Because most of these consultant firm executives are incentivized for increased revenues, not the results of the engagements, CIOs should be extra cautious on the esoteric sales efforts of the advisory firm leaders,” Brown cautioned. And healthcare organizations should determine if the consulting firm is selling more than it can deliver and the actual availability of its resources, Brown added. 90 percent of hospital executives interviewed by Black Book Research in Q4 2018 on planned 2019 consultant engagements stated they will avoid advisory firms that are overburdened with significantly complex projects with other provider organizations, particularly those national in scope. Healthcare organizations should seek more than a third-party consultant, they should look for experts who can become true partners with the organization, said Riley of Logicalis. “A good consultancy will seek to really partner with their client to understand the CIO and client’s focus, including what is driving them from a financial, operational and compliance standpoint,” Riley explained. Some things a consultancy must consider, Riley said, include: What is happening in their firm, both near-term and one-to-five years out, that might affect a given project? How does the project at hand fit into that bigger picture? What is the best way to scale? “Good consultants will seek to get the big picture, understand their customer’s customer, and also how to collaborate with lines of business where appropriate,” he added. Health systems are experts at running hospitals and taking care of patients. However, when they undertake major projects with consulting firms, EHR vendors and others, the health systems do not always know what they don’t know. "A good consultancy will offer to dive deep into the situation assessment, taking a look at the situation as a whole, including the environment and infrastructure." For example, if 500 lab orders need to be built, then have a simple process to track the build, testing and validation of each of the 500 items, he advised. “A consulting firm that has the know-how and automated tools to manage and report this information will secure a much higher chance of success,” he concluded.